Creating a business of your own is the ultimate dream for some people, but even though it might take years to get to the stage where your business is up and running, this is only the beginning. Once you have established your business, you need to think about the ways you can help it to grow from strength to strength. 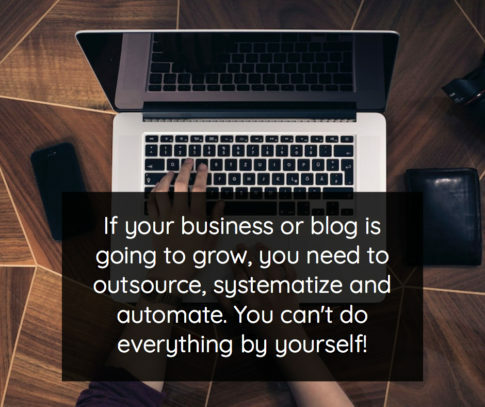 One of the ways you can grow your business is by putting the necessary systems in place to help it run more efficiently. If you’ve been doing everything yourself, you’ll quickly find that this is a limiting factor in the growth of your business. Putting systems in place makes things quicker, and it makes it easier to outsource, giving you more time to focus on growth and new ideas. Rather than contractors and team members wondering what to do in certain situations, there will be a system in place that they can follow. If everybody is following the same one rather than doing their own thing, is makes it easy if somebody is on leave or resigns from their job and leaves handover notes for the next person to follow. If you have a business which deals with customers, you need to have a system in place to allow good customer service. One of the very important systems which should be agreed on at the start is the procedure for handling complaints. If your business gets a bad reputation, it can damage it for a long time and make it difficult to ever reverse it and turn things around. All staff members should be aware of the customer service processes and systems and which people to get involved in the case of a customer complaints or other issue. Even though you might not have a large business, internal communications are very important. With the right systems in place, everybody can communicate much easier and better. Rather than having to wonder about what other people are thinking or doing, everyone is following a set procedure. This means less unnecessary conversations and meetings to catch up and work out what is happening. Going with the flow is a good idea sometimes, but when you have a business and you need to get things done within a certain time frame and make sure your staff members are following the rules and procedures, you definitely need to have systems in place. Using these, you can create strategies to combat issues and problems which might be occurring within the business.